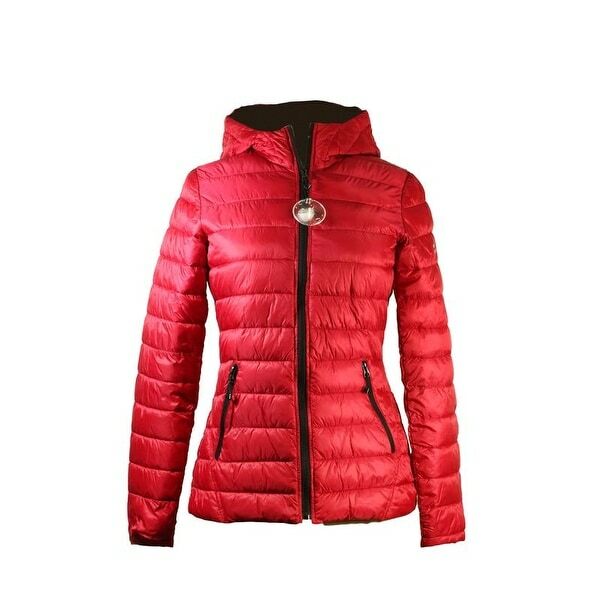 HFX Halifax Women's Red Down Puffer Packable. Attached hood. Front zip closure. Two pockets. 100% down filled. Jacket is Machine Washable. "are the sleeves very narrow"